Panel mount HDMI cables can be attached to a cut out within a panel, box or frame. At Euronetwork, we have a great array of 4K HDMI panel mount cables that have been designed and manufactured for Euronetwork. 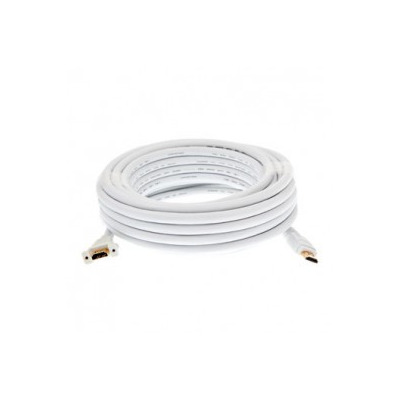 We have HDMI 2.0v cables are ideal for passing through dado, behind walls or trunking. They are ideal for use with wall plates and modules, and are also CL3 in wall rated. 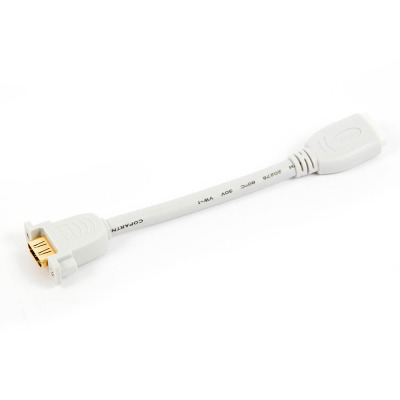 There are HDMI panel mount cables with female sockets, as well as high speed cables with ethernet capabilities available from Euronetwork’s online store. We are able to supply these ethernet-enabled HDMI panel mount cables at a variety of lengths, helping you to get hold of the perfect cable option for your needs. The HDMI panel mount cables in our range that measure up to 5m deliver 4K @60Hz 18Gbps. Those cables measuring over 5m in length can deliver 4K @ 30Hz 10.2 Gbs. Our HDMI Panel Mount cables that deliver ethernet capabilities are available in lengths up to 10m, delivering a high level of flexibility and convenience for purchasers. We also offer a selection of other HDMI cables for you to get hold of. Shoppers can pick up standard 4K HDMI cables, premium 4K2K HDMI cables and boosted HDMI cables from Euronetwork, so whatever your requirements are, you’re in the right place for high-quality HDMI cabling. Be sure to get in touch if you have any questions. The Euronetwork team is available via telephone on +44 (0) 1908 371909, or drop us an email on sales@euronetwork.co.uk. HDMI Panel Mount Cable. Female Sockets. 4K2K. HDMI Panel Mount Cable. High Speed with Ethernet.